Special Collections and Archives holds a fragment of a Torah scroll. Although difficult to date, the scroll most likely dates from 1800 to 1950. On ten sheets of parchment sewn together, the section runs from Numbers 2:22 to 32:131. 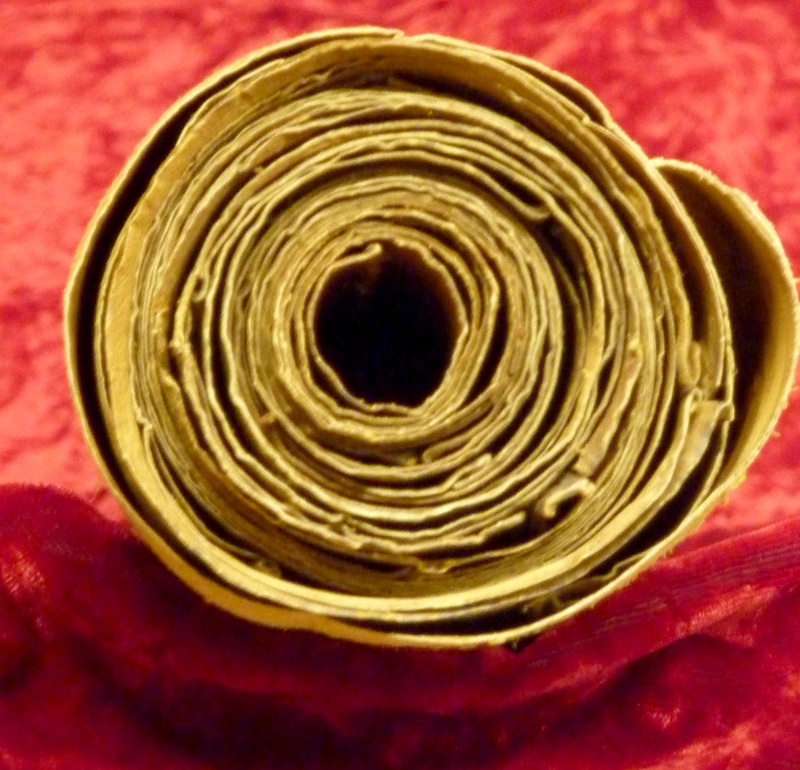 Although the segment is no longer Kosher and not suitable for use in a synagogue, the scroll is a beautiful example of a traditional Torah. The Torah is a sacred book of the Jews. The word originates from the Hebrew root of YRH that means, "teach." 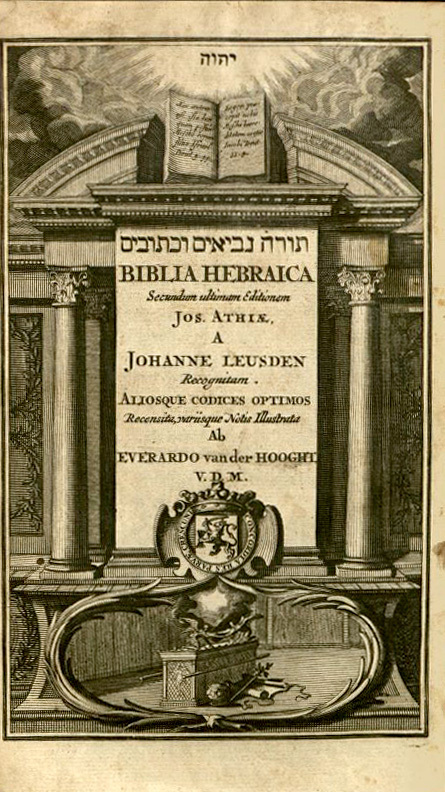 The text, which is hand written in Hebrew by a scribe, contains the first five books of the Hebrew Bible, Genesis, Exodus, Leviticus, Numbers, and Deuteronomy. The story line of the Torah extends from creation to the arrival of the twelve tribes to the land of Canaan. The Torah is sometimes called the five books of Moses or the Pentateuch (Greek for five books). Rabbinic tradition holds the belief that Moses wrote the books after a divine revelation from God atop Mount Sinai. Judaism teaches that Moses was given two different Torahs on Sinai, one oral and one written. Jewish, Christian, and Islamic traditions consider Mount Sinai sacred land. Today, each Jewish synagogue often has a finely crafted, hand written Torah scroll kept in the ark. The ark is a cabinet located at the head of a synagogue’s chapel, usually facing Jerusalem. Elaborately embroidered curtains often cover the ark. The parochet ark curtains come in different colors such as red, blue, green, white, or gold. Traditionally, the synagogue’s congregants stand when the ark is opened and the Torah is removed. As an honor to God, the Torah is often dressed in a mantle cloth. The mantle is typically made of velvet or silk and lavishly embroidered with metallic thread and ornamental beads. 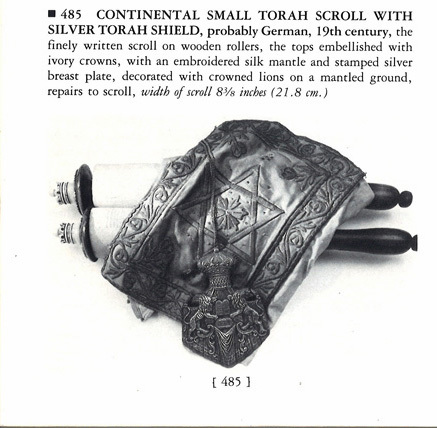 For the Torah to slip in, the opening in the mantle is at the bottom, and there are cut outs for ornamental finials or crowns that are placed atop the wooden scroll rollers. Typically made out of silver or brass, the Torah finials and crowns can be quite elaborate and beautiful. In synagogues, the Torah is often removed and read during Shabbat services, Yom Kippur, Rosh Hashanah, and other Jewish holidays. In addition to the celebratory party, a central part of the Jewish coming of age ritual, Bar and Bat Mitzvah, always includes the teenager reading part of Torah to the congregation. 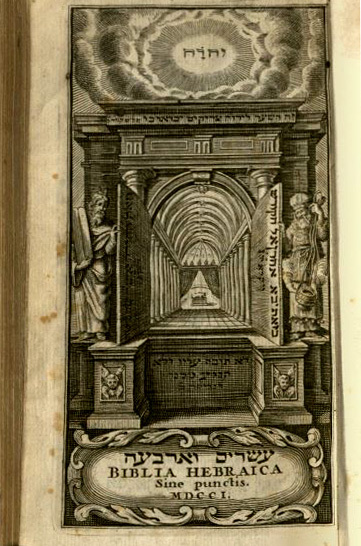 In addition to the Torah scroll, Special Collections and Archives also holds the Torah nevi'im u-ketuvim published in 1705 and the Ḥamishah ḥumshe Torah, dated 1701.